People that come to your event should have their heads examined! Tired of Tarot Readers and Palmists? Want something more fun and interesting? Phrenology is a fascinating pseudo-science that became a phenomenon and parlor entertainment during the mid-19th Century and up until the 1950’s. It was studied and discussed at all levels of society, and promoted by famous intelligentsia like Thomas Edison and Henry David Thoreau. 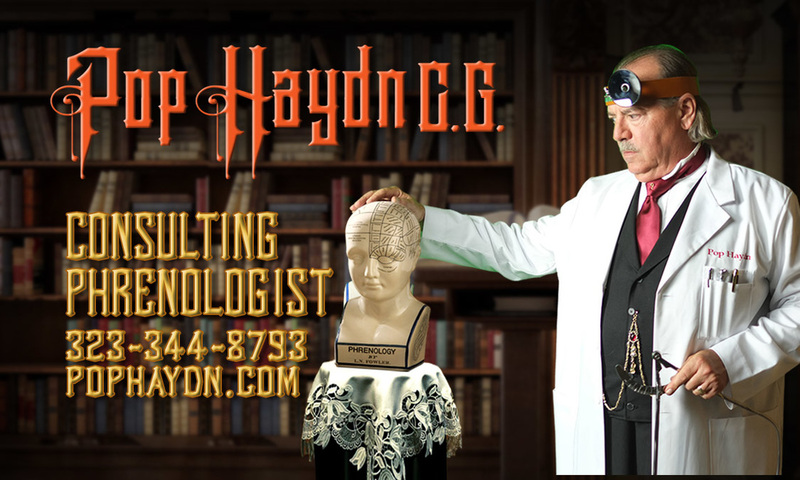 Pop Haydn is offering authentic Phrenological Readings for private parties and corporate events. He also offers demonstrations and talks on the History and Practice of Phrenology for historical societies, museums, universities, clubs and festivals. Pop and Nancy Magill come in costume, and bring an antique ceramic Phrenology Head, and a large colored chart, and other interesting props. 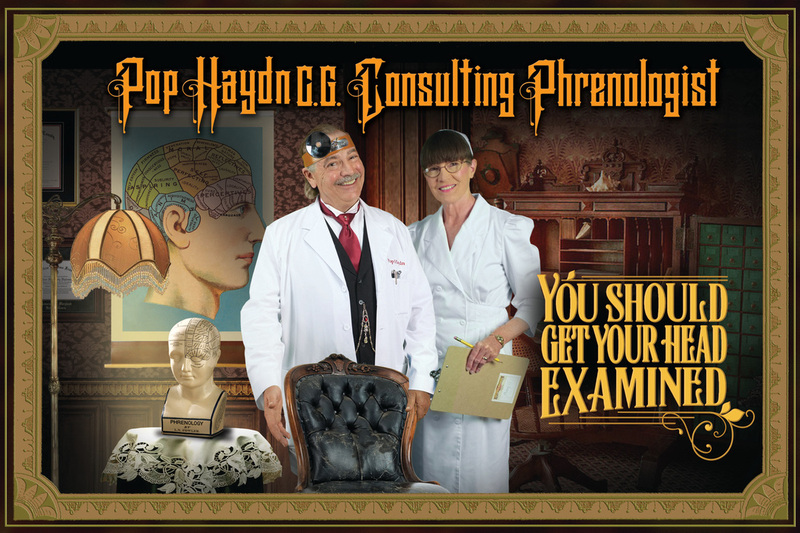 Each of your guests or clients receives a souvenir copy of their Phrenological Assessment!